When vast oil reserves were found off Equatorial Guinea’s coast, the country soon became one of the world's fastest growing economies. However, the newly generated wealth has not reached the lives of most citizens. 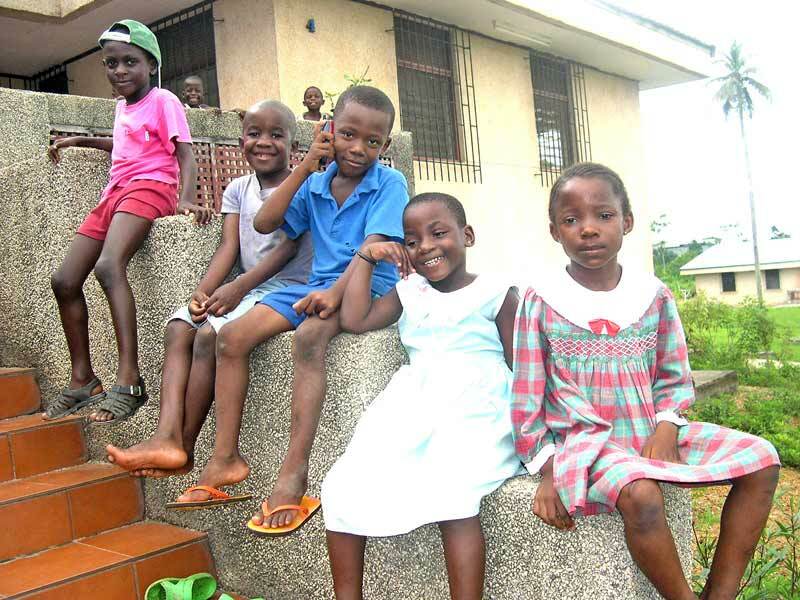 Children and young people in Equatorial Guinea are affected by a desolate education system, poor health services and high levels of HIV/AIDS. At present there is one SOS Children’s Village in Equatorial Guinea, two SOS Youth Facilities, one SOS Kindergarten, two SOS Hermann Gmeiner Schools, one SOS Medical Centre and one SOS Social Centre. 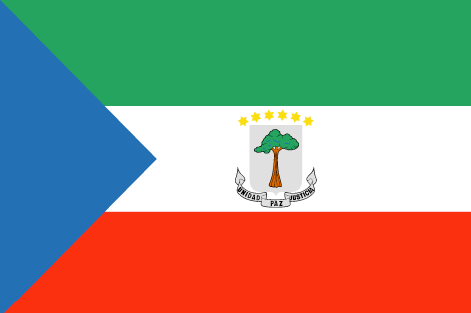 Equatorial Guinea became independent in 1968 after nearly 200 years of Spanish rule. SOS relies on the kindness and generosity of Canadians to be able to provide a home for the most vulnerable children of Equatorial Guinea. Please help us ensure a loving home for every Guinean child. Sponsor a child in Equatorial Guinea now. Your donation will help change an orphaned or abandoned child's life. The capital, Malabo, consists of slums and run-down colonial buildings. With a total population of less than 700,000, it is one of the smallest nations in Africa. It is also the only African country where Spanish is the official language. Although nominally a constitutional democracy, nearly all international observers agree that numerous elections since the 1990s have been rigged and there is little effective opposition within the country. Equatorial Guinea is often cited as the textbook case for the "resource curse": in the 1990s, the economy experienced a structural shift when large oil reserves were discovered. By 2004, Equatorial Guinea was the third-largest producer of crude oil in Sub-Saharan Africa. Oil revenues went up from only seven per cent of the GDP in 1992 to 83 per cent by 2000. The country's GDP nearly doubled between 1997 and 2000 alone. The last decade has seen periods of economic growth and stagnation. However, in 2011 the situation improved, in part because the country was preparing to co-host the Africa Cup of Nations in 2012. Little of the wealth that is generated through oil actually reaches the population and the vast majority of Equatorial Guineans live in poverty. Access to health and education has deteriorated as the economy has boomed. As a result, the country ranks near the very bottom of the United Nations Human Development Index. Thousands do not have access to running water and the water that many consume is unsafe and may cause diarrhoea and other waterborne diseases like cholera. In this tiny country, 20,000 people are HIV-positive. Thousands of lives are also threatened due to urban myths and a lack of information on the virus. From 2003 until 2010, the number of HIV-positive people has roughly doubled. The public health system is underdeveloped and chronically underfinanced. According to the United Nations, the number of doctors per 100,000 citizens amounts to only 25. More than 150 Cuban physicians work here, representing roughly 70 per cent of all doctors in the country. Life expectancy at birth remains very low at 51 years. An estimated 45,000 children in Equatorial Guinea grow up without their parents. 4,100 of them have lost either one or both their parents to AIDS. As a result, a growing number of Equatorial Guinean children end up leading households, particularly orphans and children in rural areas of the country. Assuming so much responsibility at such an early age also means that many of these children never get to experience true childhood. Around two out of ten children die from diarrhoea, cholera or other waterborne diseases as only half the country's population has access to safe drinking water. Nearly half of all children suffer from stunting. In a country where Malaria is endemic, only 50 per cent of all under-fives with a Malaria infection receive anti-malarial drugs. Although child mortality rates have slightly improved since the 1990s, the country's under-five mortality rate remains alarmingly high at 148 per 1,000 live births, one of the highest figures in the world.